The Oscars have been handed out and it’s a wrap for the 2018 awards season. As expected, Best Actress went to the marvelous Frances McDormand and “Shape of Water” won Best Picture. 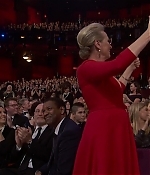 There wasn’t much about Meryl at this year’s ceremony, except for a funny bit by Jodie Foster and Jennifer Lawrence, who presented the Best Actress segment. Pictures from the arrivals and the show have been added to the photo gallery with more to come. Edit: Lots of additional pictures have been added with many thanks to Ali, Claudia and Maria, your help has been very appreciated. Also, the Best Actress segment has been added to the video archive. During tonight’s Oscar broadcast (check the following update for more on the ceremony), Disney released a first teaser for “Mary Poppins Returns” during the commercial breaks. 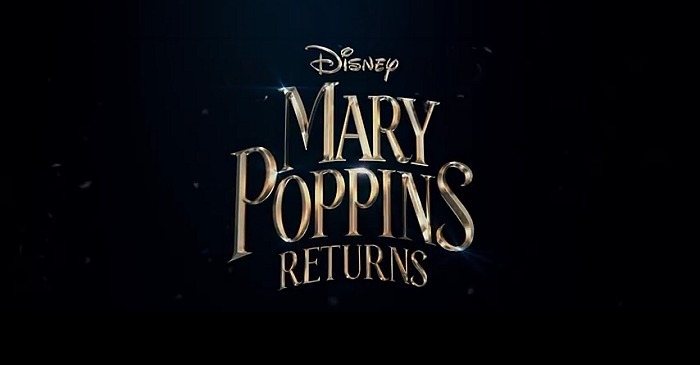 While it doesn’t feature Meryl and only gives a glimpse of Mary Poppins herself (I know, that’s why they call them teasers :-) the trailer gives a good idea of what to expect from Rob Marshall’s film, which is hitting theaters this Christmas. You can watch it below or in the video archive. The great joy of maintaining an archive like Simply Streep is finding an old blast from the past you have been looking forever. Even better to find something you didn’t even know existed! 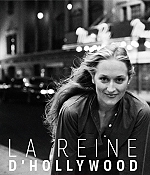 The German-french culture channel has a movie programme called “Abgedreht” or “Personne Ne Bouge” and this week’s episode is all about Meryl Streep, featuring bits from a very rare appearance on Michael Parkinson’s talkshow in October 1981 to promote the theatrical release of “The French Lieutenant’s Woman”. 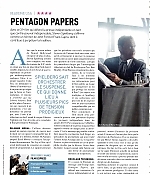 You can watch the full programme, which runs 35 minutes, either in German or in French on the Arte website. The “Parkinson” bit can be found in the video archive as well as screencaptures in the photo gallery. Enjoy. 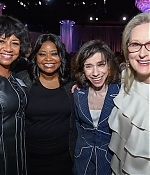 Earlier this week, Meryl Streep has attended the nominees luncheon for the 90th Annual Academy Awards. Pictures have been added to the photo gallery. 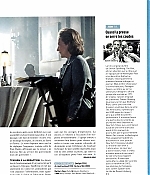 There are also some fantastic new scans from the French Premiere magazine, the British Sight & Sound and Little White Lies magazines and from the German Stern magazine. Many thanks to Alvaro for his contributions. 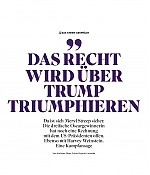 Enjoy reading. Meryl Streep, Debbie Harry from Blondie, Steven Van Zandt of the E Street Band and Buddy “Cake Boss” Valastro are among the inductees for the 2017 class of the New Jersey Hall of Fame. Gov. Phil Murphy announced the 21 inductees – seven women and 14 men – at the New Jersey State Museum in Trenton on Tuesday. All inductees, living and dead, will be honored at a ceremony celebrating the 10-year anniversary of the hall of fame at the Paramount Theater in Asbury Park on May 6. “The hall exists to celebrate some of the most famous and most impactful,” Murphy said. “The New Jersey Hall of Fame is where their story is told and retold to inspire.” Along with Streep and Valastro, several of the inductees were not among the 51 nominees announced in November, and the hall said it could select additional inductees based on who is available for the induction ceremony. (Celebrity foodie Anthony Bourdain was originally nominated but said that he could not make the ceremony and was replaced by businessman Joe Buckelew.) 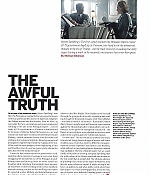 The complete article can be read here. Many thanks to Frank for the heads-up. 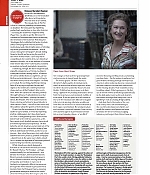 According to Variety, The Society of Camera Operators is awarding Meryl Streep its President Award for Lifetime Achievement for her body of work, and her commitment to the craft of camera operating. 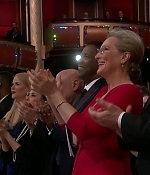 The group noted that Streep has been nominated a record breaking 21 times for an Academy Award and has won three times. 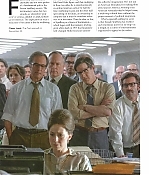 She received a Best Actress nomination on Jan. 23 for “The Post.” “Ms. 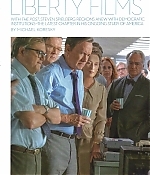 Streep’s successes ranging from ‘Kramer Vs. Kramer,’ ‘Sophie’s Choice,’ ‘The Devil Wears Prada,’ ‘Mamma Mia,’ ‘The Iron Lady,’ ‘Florence Foster Jenkins’ and ‘The Post,’ which can currently be seen in theaters, are examples of her expansive creative genius, and the depth and variety of her performances,” the group said. 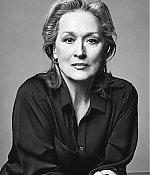 Streep will be presented with the Lifetime Achievement Award on Feb. 3 at the Loews Hollywood Hotel. More great finds have been added to the photo gallery. 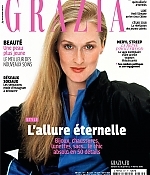 Meryl graces the cover of the French Grazia Magazine – on which I first thought it was a long-lost blast from the past, but no – it’s Streep’s Kramer vs. Kramer glory on the cover. 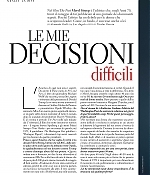 Also added have been scans from the Italian magazines Gioia and Io Donna del Corriere della Sera. Enjoy the new additions. 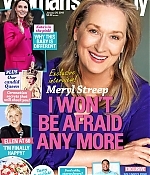 Big Little Lies author Liane Moriarty has revealed how Oscar-winner Meryl Streep joined the cast of the hit drama’s second series. 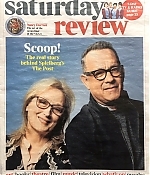 Sydney-based Moriarty said she wrote the role – of Nicole Kidman’s mother-in-law, Mary Louise Wright – with Streep in mind, and Kidman played a huge role in securing the Hollywood icon. 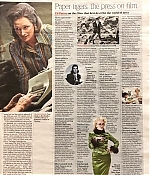 “I was about half way through (writing) and I was talking to the producers and I said, I’ve got this role of Perry’s mother and … not quite believing my own audacity, I’d like Meryl to play this character,” Moriarty said. 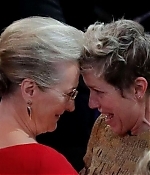 “And the producers were laughing at me because they were saying ‘you’ve become so Hollywood’ … as in, picking up the phone and saying, ‘get me Meryl.’” “They were teasing me … but then they were saying, it’s not beyond the realm of possibilities because Nicole and Meryl are friends,” Moriarty said. 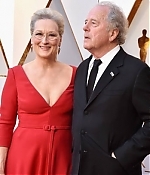 The Australian author — who penned the book Big Little Lies on which the HBO series was based — named the character “Mary Louise” after Streep and said Kidman was instrumental to Streep joining the cast. “Nicole sent me an email saying, ‘ask and you shall receive,’” Moriarty said. 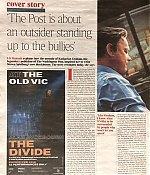 Moriarty said Streep’s character was a “significant role”. Mary Louise (Streep) is the mother of Perry (Alexander Skarsgard), who was married to Celeste (Kidman), and was murdered at the end of season one. “She deeply loved her son … as much as any mother can love her son,” Moriarty said, adding Streep’s character was “deeply grieving” . “She had a slightly fraught relationship with her daughter-in-law, so it’s a very complicated, difficult time. “When I was writing it, I was calling her ‘Meryl’. 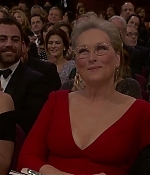 But then I thought Meryl didn’t suit the character. 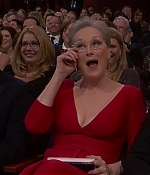 “So I looked up to see what Meryl’s middle name was and then I saw that, actually, her real name is Mary Louise. And Mary Louise fits the character perfectly.” HBO previously announced that “most” of the cast from season one would return for the seven-episode second season, including Kidman and Reese Witherspoon as executive producers. Production on the second season is due to begin in March and the series will air in 2019. Spoilers ahead in this unexpected news from today: Meryl Streep is joining Big Little Lies‘ forthcoming second season as a series regular, TVLine has learned. 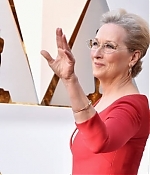 The three-time Oscar winner will play Mary Louise Wright, the mother of Alexander Skarsgard’s deceased character Perry. “Concerned for the well-being of her grandchildren following her son’s death, Mary Louise arrives in Monterey searching for answers,” per HBO. Translation: Expect some explosive scenes between Streep and recent Emmy winner Nicole Kidman. In teasing Streep’s Big Little Lies storyline, HBO puts to rest speculation that Skarsgard’s Perry might’ve somehow survived that fatal fall in the Season 1 finale. Still, As TVLine reported earlier this week, Skarsgard is expected to reprise his Emmy-winning role, most likely via flashbacks. Big Little Lies Season 2 will consist of seven episodes, all of which will once again be penned by David E. Kelley (based on a story by Liane Moriarty, whose novel served as the source material for Season 1). Meanwhile, Jean-Marc Vallée is passing the directing baton to Andrea Arnold, although Vallée will stay on as an exec producer. Production on Season 2 is scheduled to get underway in March ahead of a 2019 launch. Thanks to everybody for the heads-up. 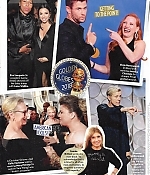 Lots of new magazines scans from around the world have been added to the photo gallery. 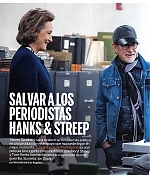 There’s a great new cover story from New Zealand, tons of reviews and articles from the British press coverage on “The Post” and lengthy articles from Film Comment and the Spanish Fotogramas and Imagenes. Many thanks as always to the great Alvaro for all the contributions. 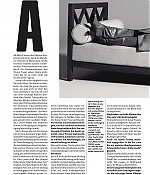 Enjoy reading.